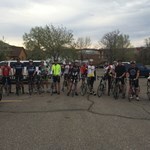 The Rocky Mountain Cycling Club (RMCC), formed in the Fall of 1993 and currently with over 400 members, was created to cater to active, enthusiastic cyclists of intermediate and advanced levels and interests. This is accomplished in two ways: first, by scheduling and conducting an annual slate of rides which challenge riders to plan and develop their conditioning levels and cycling ability, and, second, by aggressively working to return benefits to members such as promotions and valuable discounts. We are focused on helping you develop as a rider and to gain as much enjoyment as possible from cycling. Finally, the RMCC is an official supporter of Bicycle Colorado, and works to safeguard the rights and safety of cyclists in Colorado. What sets our club apart is the full range of pedaling experiences we offer, whether you ride for fitness, for fun, or for endurance. These include flat rides, climbing rides, shorter rides, and longer rides We strive to offer the greatest variety and scope of riding experiences possible! Our program calendar goes year round and offers rides every Saturday and Sunday, weeknight rides when we are on daylight savings time, and special events like Brevets and Challenge Series rides. In total, our schedule contains over 150 rides each year! Weekend rides begin with mileage options from 20 miles early in the year working up to 60 miles for recreational cyclists. For riders aiming at longer distances, routes begin at 35 miles and work up to centuries and above. The RMCC also counts as members riders with ultra experience, including premier events like RAAM (Race Across America), PBP (Paris-Brest-Paris ), and the Furnace Creek 508, and is the official ultra-marathon, super-randonneur club of the region. All the starting locations are strategically located along the Front Range from Loveland to Monument and from Aurora to Copper Mountain. This allows an optimal mix of climbing (Saturdays) and flat (Sundays) riding as well as a great variety of local scenery. Riding within traffic-congested areas is minimized. The RMCC uses modern, high-quality, GIS-based maps and route narratives to take advantage of the decades of local cycling experience represented by club ride coordinators, and provide easy-to-read and meaningful ride instructions to all participants. What Riding Interest Do You Have? 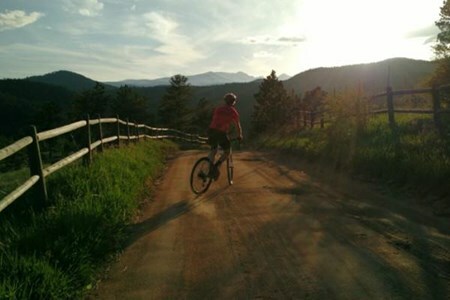 Recreational (R): For the intermediate cyclists, this series will add to your riding pleasure and help you get ready for summer tours/events such as Ride the Rockies or the Copper Triangle. 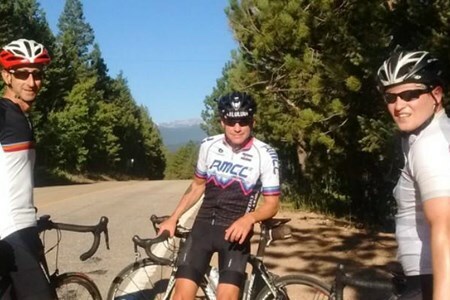 Endurance Riding (E): These training rides continually progress in distance and difficulty to prepare cyclists for longer rides such as the Triple Bypass and the Joe Lookingbill Denver-Aspen Classic. Brevets: Sponsored by RMCC and sanctioned by Randonneurs USA (RUSA), brevets are challenging endurance events which can be ridden as events in their own right or to qualify for super-randonnée events and awards. See the Brevets page for further information. Challenge Series Rides: These are timed events run by RMCC that are focused on climbing, ranging in distance from 80 to 200 miles. Read more about this series on our Challenge Series page. This is a bit of a crazy climbing ride. Not Mark Lowe crazy but very challenging nonetheless! We'll meet at the lot across from the Boulder Justice Center at 7:00. We start by climbing ... morethe first 4 miles of Boulder Canyon ( the reason for the early start time--get that out of the way before traffic really gets going) and then head up Magnolia, which is the steepest climb in Boulder County. At the end of that 4 mile climb the road does turn to dirt for about 7 miles. 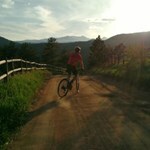 The dirt section is not very challenging climbing-wise and is rideable on a road bike, but of course wider tires (e.g. 28) are preferred over narrower ones (e.g. 23mm). We'll then hit the Peak-to-Peak highway and turn to head up to Eldora. We'll drop into Nederland to refuel and then head up to Ward and Brainard Lake. We'll return via Lefthand and Lee Hill. 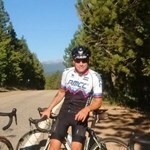 The route is 68 miles with 8300 feet of climbing. Very challenging with lots of spectacular scenery! Start your week off on a mixed(surface) note by riding some pavement, gravel and a bit of double/singletrack! This short route packs lots of vert as well as a few somewhat technical ... moresegments that will keep you on your toes. General weekly route is as below. We may occasionally drift from the norm, but expect every ride to be similar to as is below. Find bike races, free group bike rides and recreational rides.